They came from Cork, Donegal, Tipperary, and even Newry, to underline that the story of the ‘Tuam Babies’ is not just a story of Tuam. 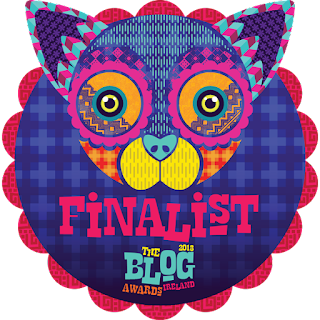 It’s a story of survivors and families in similar institutions all across the land, and how the Irish State, their communities, and even members of their own families let Irish women and children down. Two bus-loads arrived from Dublin. As if to remind some of them of how hurt many people still feel by this issue, one man declined to give the women on one bus directions when they lost their way on the edge of town. For many, it was a first ever visit to a site which is now known all across the globe. It still seems incongruous to have to go through a narrow gap between local authority houses and walk around a playground to access a site which has become Ireland’s most infamous unmarked burial ground. Only this was a day for healing, for forging friendships, and showing solidarity with a remarkable group of people, elderly now, who never sought the global spotlight. As they stood around the site, it was amazing to hear them share their stories in ways which must have been unthinkable just a few short years ago. If the research of Catherine Corless has shone a spotlight on some of the darkest history of 20th century Ireland, it has also given a voice to people who never spoke out before. Such as the lovely man from Cork, now in his 70s, who told me he had never met a woman because he never felt worthy of love; or the man who worked for years in South Galway and created a loving family, despite the beatings and never being taught to read or write in that infamous institution they dared to call a ‘home’. But there were good stories too, of good priests who went to a lot of trouble to help some of them track down their birth mothers and family reunions which had seemed impossible to them in the earlier years of their lives. Three hundred women all across the globe, including many in North America, were inspired by a Dublin artist to make a blanket of 796 hand-knitted pieces which they presented to the families and survivors of the Tuam Mother and Baby Home on Saturday. In an emotional ceremony at the site where up to 796 babies and children are believed to have been buried in an unmarked grave, Dublin artist Barbara O’Meara unveiled the beautiful white blanket – sewn together in four parts to depict the four provinces of Ireland – to the family members after meeting them for the first time. 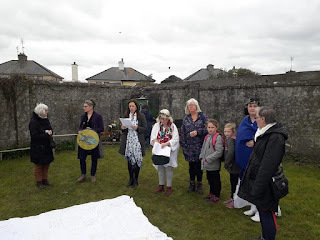 The unveiling of the beautiful blanket, knitted by hand following a Facebook campaign, coincided with an inaugural Remembrance Day for the Lost Children of Ireland event at the site of the former home. Former residents of institutions across Ireland travelled to Tuam for the event, which included poetry from survivors, a concert, and the screening of a documentary about the ‘Tuam Babies’ which is due to be shown in New York and Boston at the end of this month. 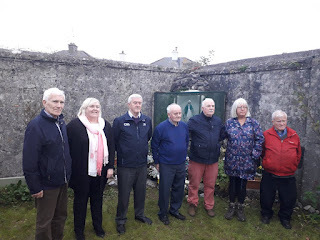 The survivors are still trying to reach out to people in North America who may have been adopted illegally from Catholic institutions in Ireland, as they have no idea how many of the children really are buried next to a playground in the Co Galway town. Tuam Home Survivors Network Chairman Peter Mulryan, whose younger sister is one of the 796 dead babies, said the survivors continue to be overwhelmed by the support they receive from across the globe. Now 74, Peter only found out he had a younger sister among the ‘Tuam Babies’ four years ago. He has been on a mission to find out what happened to her ever since, and believes she may have been adopted by a family in the United States. Until an exhumation is carried out at the site, he said he had no way of knowing what happened to her. “We are the kind of people who would not have been known or heard of, but now we are being extremely well represented all over the world. It’s just mind-boggling, the way the wheel has turned around. We were classed as nobodies, people who were not to be heard,” said Mr Mulryan. Mr Mulyran expressed anger that An Taoiseach, Leo Varadkar, had visited the site in a personal capacity after attending a Fine Gael party event in Galway recently, without making any attempt to contact the survivors. He accused the Irish Government of trying to turn local residents against the survivors in determining the future of the site. “Our search for justice is awful slow. We don’t understand why a public figure like An Taoiseach would come sneaking down, with nobody to meet him. It hurt us very much. 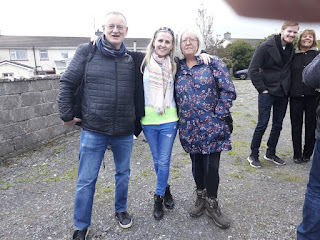 We were so disgusted with An Taoiseach, to hear that he spoke to the residents, to ask them what they would like done here, rather than to ask us, the families and survivors,” he said. Peter and his wife Kathleen are set to travel to the US in two weeks as a bid to reach out to people who were adopted from institutions in Ireland. “We are hoping to meet up with people who believe they may have been adopted from Ireland. If anybody wants to contact we are here to help them,” he told me. Although she has no connection with the Tuam families or the site, artist Barbara O’Meara said she was compelled to set up the ‘Stitched With Love’ project after watching coverage of the ‘Tuam Babies’ case on Irish television. “I do a lot of work with marginalised groups, people with addiction or people who have been bereaved. I felt a need to do this project. I kind of realised that women wanted to do something to support the Tuam Babies and the survivors,” she said. She said that women across the globe found a great sense of healing by knitting the 796 white squares and it was a really emotional experience to see the full blanket being unveiled at the site at the weekend. 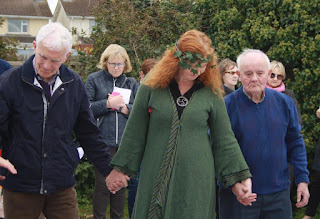 She organised a Shamanic healing ceremony with Karen Ward, who had worked on her for a project to heal the children of the 1916 Easter Rising. Two bus-loads of women travelled from Dublin for the Tuam event and they were deeply moved by the experience. “I hadn’t been to the site before and I decided not to come until the blankets came with me. I kept wondering how I would feel if my brother, my sister, or my mother was here. Having the sensibility of an artist, I am not very political or verbal. But I’m a creative person. When I walked onto the site I felt the energy was very heavy. It’s just an honour, really, to meet these survivors and honour these little children,” she said. At the ceremony, I was also delighted to meet Anna Corrigan of the Tuam Babies Family Group and author Alison O'Reilly. Alison and Anna worked together to write 'My Name is Bridget', the story of Anna's mother who had been incarcerated in the Tuam Mother and Baby Home. 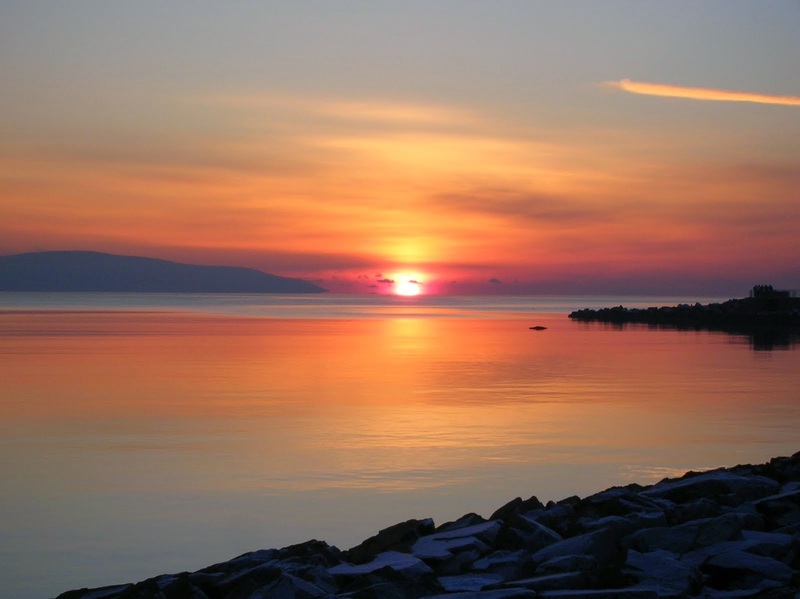 Anna, who grew up in Dublin, only discovered that she had two older brothers after her mother passed away. Her two brothers are among the 796 missing children and babies. The book is a harrowing read, but it also really 'humanises' the story of the lost children and also looks at some other case histories from homes across Ireland. Breeda Murphy of the Tuam Home Survivors Network pointed out that the infant mortality rate at the home was five times that of the population outside; and that 126 of the babies died within the first six months of life. “Death certificates were not signed by a medical practitioner, but rather a domestic at the home, burials were outside the norm, custom or law. Without coffins. Without a word, a prayer or a gesture of sympathy in a land that is renowned for its funeral services where communities seek comfort in the untimely death of a young person,” she said. She pointed out that 35,000 women and girls went through Ireland’s Mother and Baby Home system between 1904 to 1996. This was a national issue, she said, as she pointed out that survivors from institutions all across Ireland had travelled to Tuam for the event. • Peter Mulryan will lead a Walk With Peter event in which 796 cardboard coffins will be carried through the streets of Dublin this Saturday, October 6. The little coffins will be carried from O’Connell Street to the Garden of Remembrance to remind people that the families are still seeking justice for their loved-ones.